I remember the days when I first went gluten-free and almost everything I bought tasted like cardboard. Yep, that was fun. 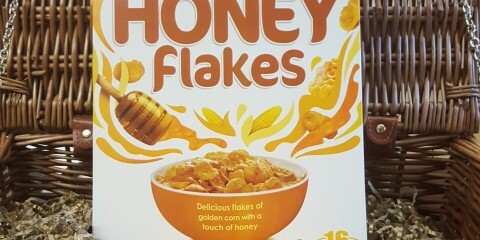 But now, thankfully, there is a huge amount of delicious gluten-free food easily available in supermarkets so the days of forcing down gross tasting bread are a distant memory. 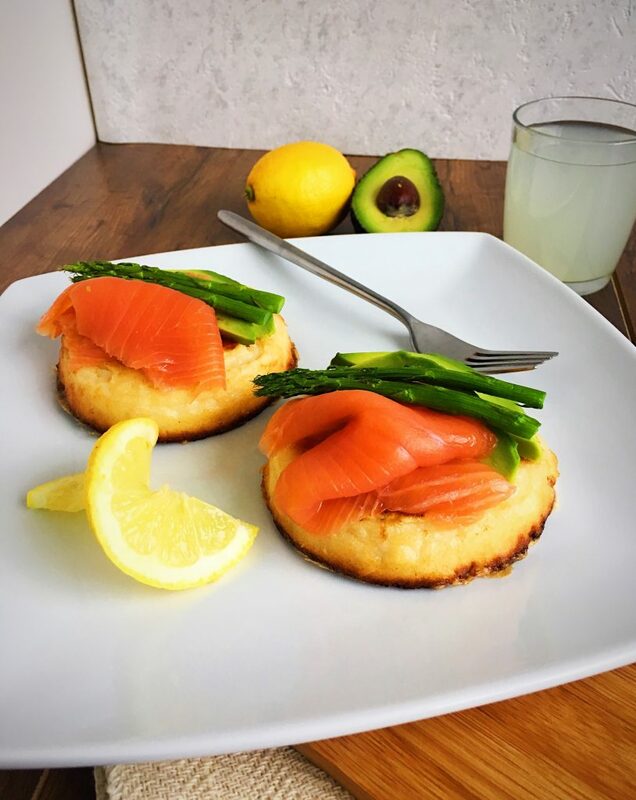 The improvements I’ve seen in the free from section over the past few years have been incredible and when Newburn Bakehouse by Warburtons [Newburnbakehouse.com] got in touch with me to say they have now developed gluten-free crumpets I couldn’t wait to try them! 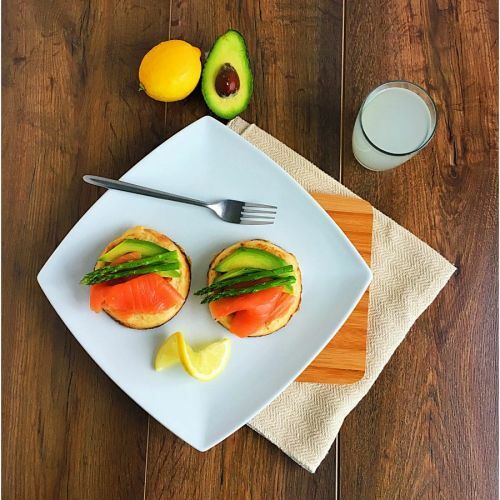 I repeat – gluten-free crumpets! Back before I was diagnosed with gluten intolerance my favourite crumpet topping used to be melted cheese *drools*, but Newburn Bakehouse asked me to create a brand new topping recipe and share it with you guys. As it’s savoury, this was slightly out of my comfort zone – you all know I’m most at home when surrounded by cacao powder and agave nectar. BUT I actually found it a lot of fun and I’m really happy with how my recipe creation turned out. Everyone who tried it went back in for seconds…and thirds (which is always a good sign). Newburn Bakehouse’s crumpets are super soft and fluffy, and perfect for soaking up the old traditional topping of butter…or in this case, egg. 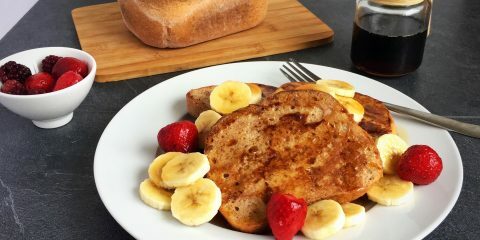 Yep, this recipe has a bit of a French toast feel to it. Or as I was raised to call it, eggy bread. It works really well because the crumpets are so porous! I can’t believe I never tried it before. 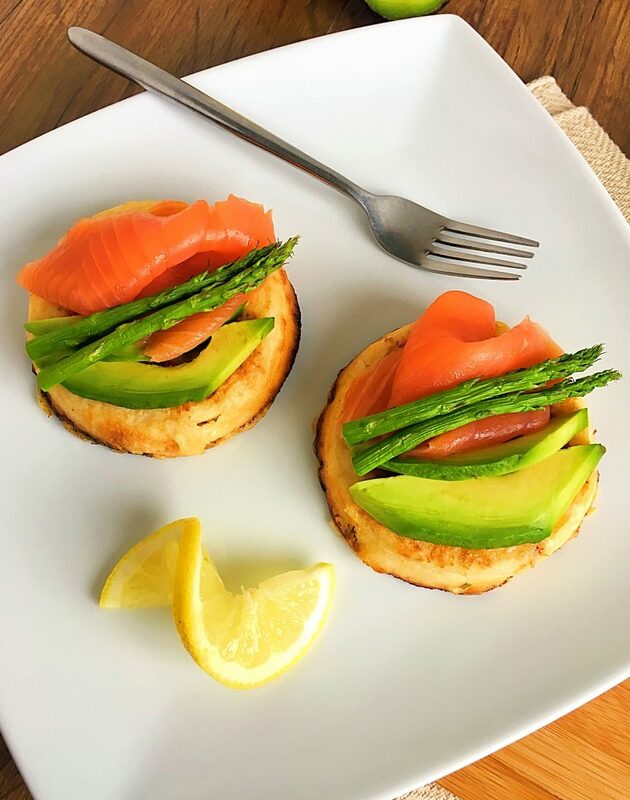 This gluten-free crumpet brunch is otherwise known as ‘Surf’s Up!’ because it’s the perfect brunch to fill you up with all the good fats after a long surf session (or any other workout). In a small bowl, whisk together the eggs, chilli and chives. Preheat the grill and also one ring on the hob, then pour the oil into a frying pan and place on the hob on a medium/high setting to heat up. Place one crumpet in the egg mixture (face down) and gently press it to allow the mixture to soak up into the crumpet (like a sponge) before turning it over and doing the same again. Repeat with the other crumpet and then place both crumpets in the frying pan on the hob. Place the asparagus tips under the grill and set a timer for 4 minutes. Allow the crumpets to cook on one side until golden, then turn over and cook on the other side until also golden. 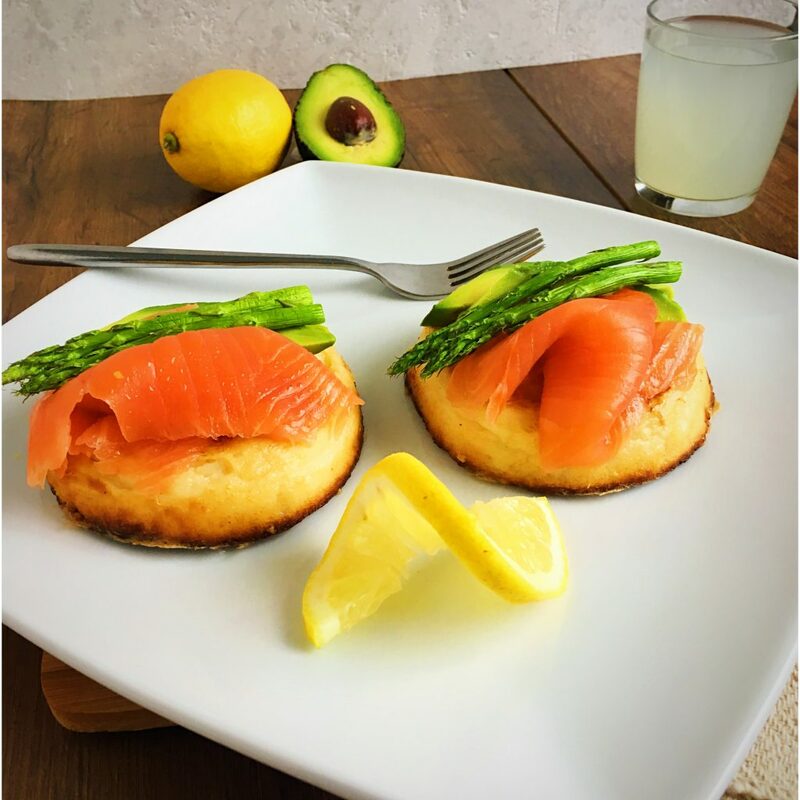 Once the 4 minute timer is up, remove the asparagus from the grill and place to one side before removing the crumpets from the pan and putting on a plate ready to serve. 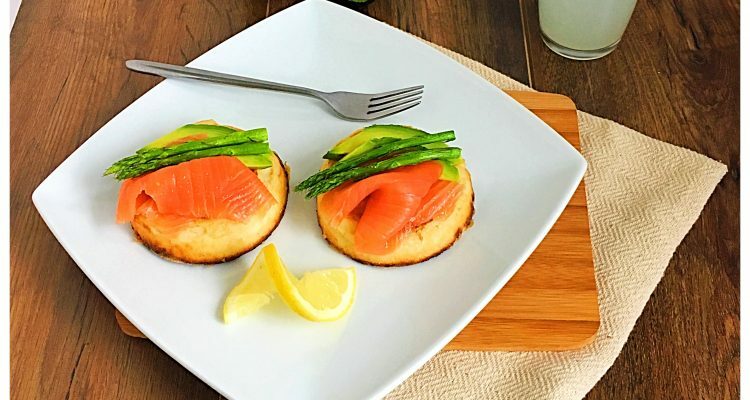 Top the crumpets with the avocado, smoked salmon and asparagus tips. Then add some lemon (if you want to). Newburn Bakehouse’s crumpets are free from gluten, wheat and milk! A full list of the ingredients can be found here. They’re available in free from aisles and online at Tesco, Sainsbury’s, Morrisons, Waitrose and Ocado as part of Newburn Bakehouse’s already pretty big free from range, which includes loaves, rolls, wraps and sandwich thins. 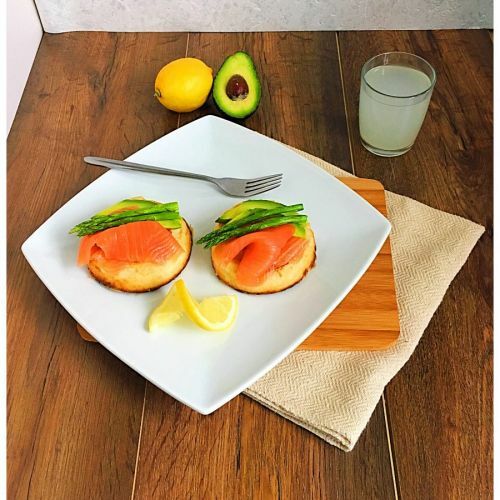 If you try my recipe please let me know what you think of it! What’s your favourite crumpet topping?